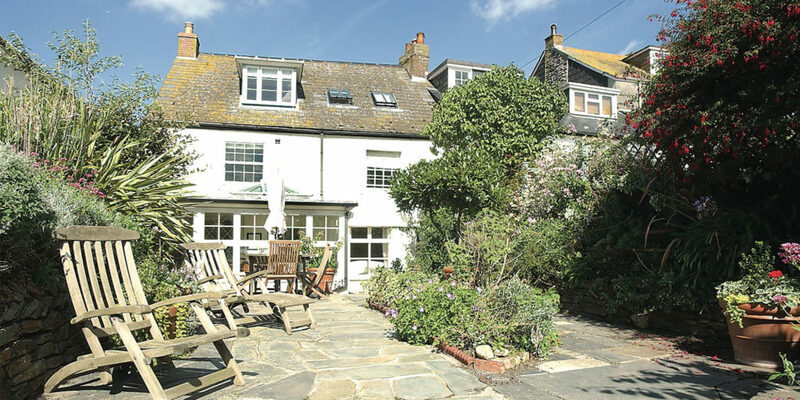 This delightful first floor apartment can be found on Porthleven’s harbourside, housed in a Grade II listed building that dates back to the 1840s. The village is a fantastic base from which to explore the local area, if you can pull yourself away from its excellent selection of restaurants and cafés that is. There’s a sandy beach here too and excellent crabbing can be had from the harbour wall. The small doorway up to the apartment belies what hides behind and as you wind your way up the stairs you’ll soon find out why. 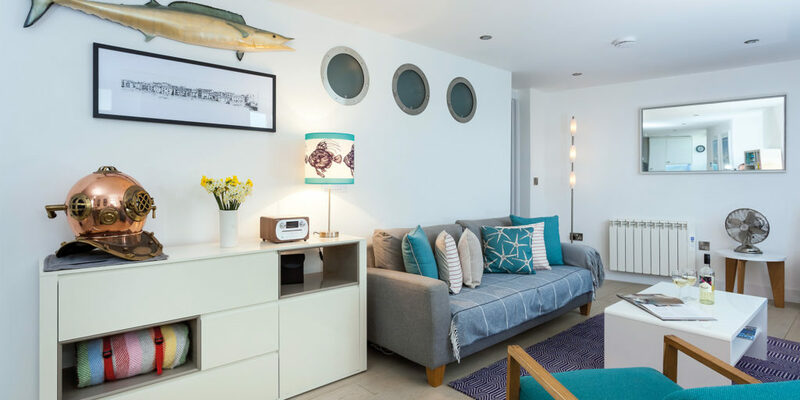 The apartment, which sleeps four, is bright, spacious and has been carefully decorated with marine-inspired tones to complement the coastal location. 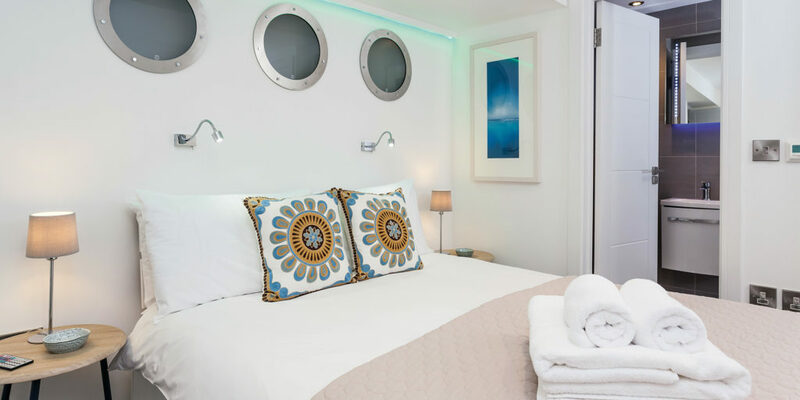 The two bedrooms, both with en suites, offer an oasis of calm with the addition of White Company towels and bedding and an Atlantic blanket carefully folded at the end of each bed. The living/dining area is vast with a triptych of windows that frame the view out onto the harbour. It’s all about the detail here with two comfortable chairs perfectly placed in front of the middle window, which you can open up on a summer’s evening to enjoy the view while sipping a glass of something cold. Binoculars are provided for dolphin spotting in summer and storm watching in winter, and your four-legged friend (the property is dog friendly) gets their very own basket of blankets. You’ll also be greeted on arrival with a freshly baked cream tea, courtesy of your charming host Louise. Holidays don’t come much better than this! Situated in the popular seaside town of Padstow, renowned for its buzzing foodie scene, beautiful beaches and estuary views, Trevean provides holidaymakers with the chance to explore this stunning corner of Cornwall in style. 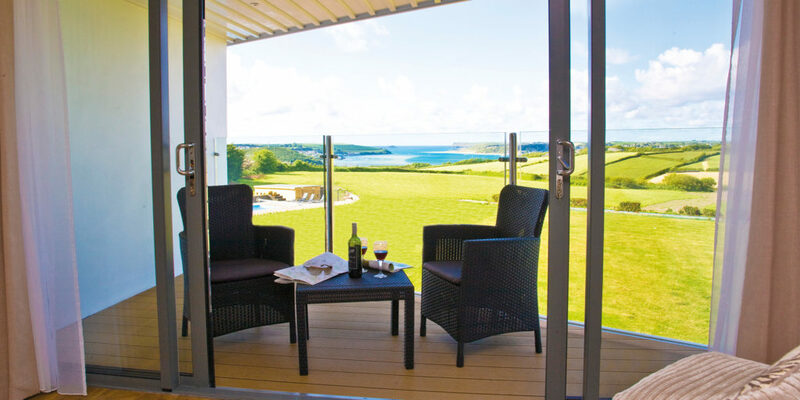 The upstairs balcony enjoys panoramic views stretching from the mouth of the Camel Estuary, across to Rock and round to the Iron Bridge. Making it the perfect spot to enjoy your morning coffee while you plan the day’s adventures or unwind with a glass of something cold as you watch the sun descend. Trevean is ideally located within easy walking distance of the many shops, restaurants and outdoor pursuits that Padstow has to offer, with its own private parking you can simply leave the car and go. Just a stone’s throw from the Camel Trail where you can enjoy miles of unobstructed cycling along the disused railway track and within walking distance of Rick Stein’s Cookery School, where you can learn how to cook up a storm using the freshest local ingredients. 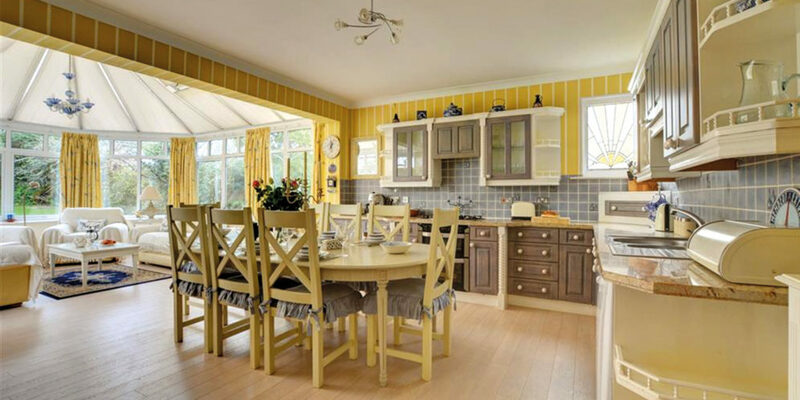 The open plan kitchen/diner and conservatory leads out into the sheltered garden and patio, which provides the ultimate space for summer barbeques and entertaining amongst friends. Indoors you’ll find three fabulously made up bedrooms accommodating up to six guests and two bathrooms, plus Trevean is pet friendly so no one has to be left behind. 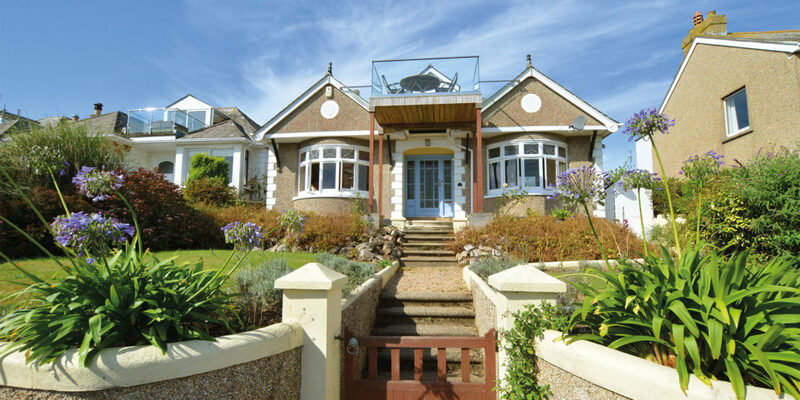 The spacious rooms, gorgeous garden and estuary views combined make this property the ideal base for your holiday, so make sure to book your stay soon before someone else snaps it up! 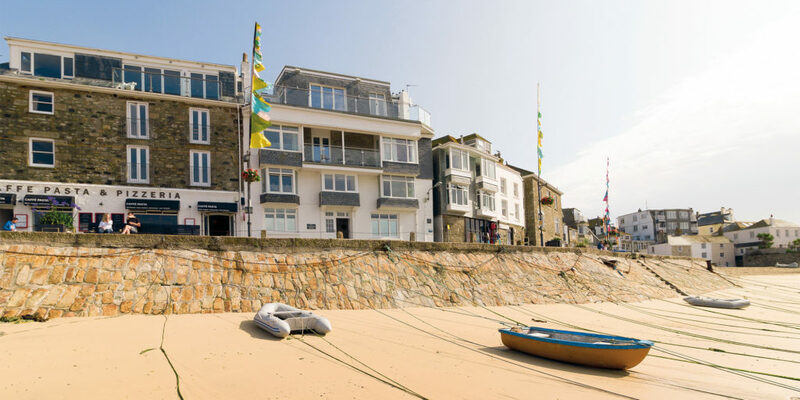 Spanning the ground floor of a period conversion right on St Ives harbour front, this beautifully finished apartment virtually spills out onto Harbour beach and, from the living areas, you can sit back and simply admire the stunning ocean views. 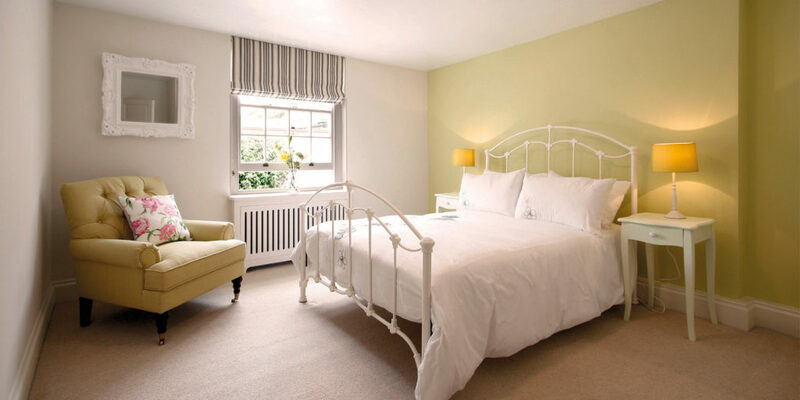 The accommodation sleeps four, comprising two sumptuous double bedrooms, with one enjoying its own en suite and the other being served by the well-appointed and modern family bathroom. The living space is flooded with light, particularly during the summer, which brings out the best in the cool coastal décor. But it’s not just the utmost in holiday home luxury that’s on offer here. Indeed, St Ives has become one of Cornwall’s most popular and prestigious tourist destinations, its cobbled streets home to a superb array of galleries, restaurants and independent boutiques, and its coastline and famed quality of light attracting artists from around the globe. Happy guests have described the apartment as “very comfortable”, praising its “first class” facilities, “beautiful” decoration and superb location. 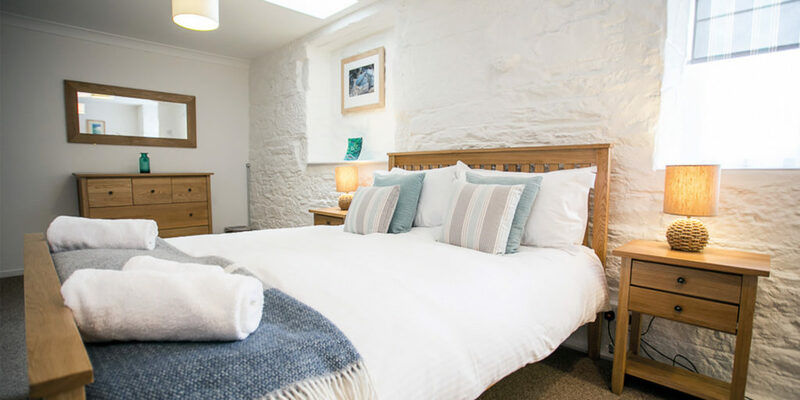 So if you’ve been on the lookout for the perfect retreat in this most sought after of Cornish coastal towns, be sure to head to the Aspects Holidays website and check it out for yourself! 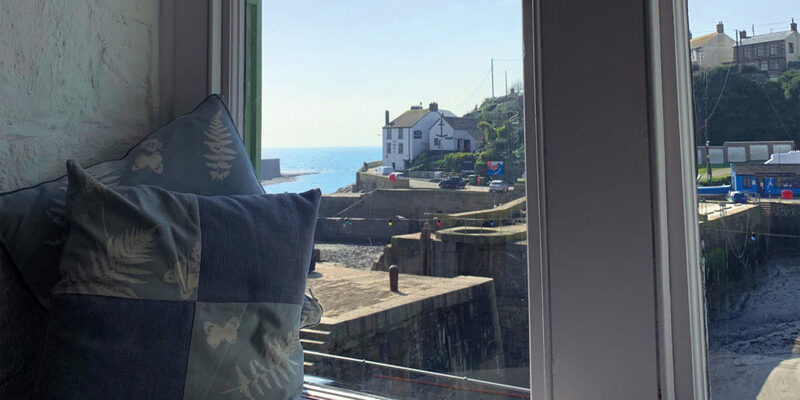 Located in the idyllic fishing village of Port Isaac, Trevan House is just a stone’s throw from the harbour and its crystal clear turquoise waters. With a plethora of local shops, cafés and restaurants to explore – including Nathan Outlaw’s renowned Fish Kitchen and Restaurant Nathan Outlaw, which are just a walk away – you’ll be spoilt for things to do in this picturesque part of Cornwall. The house has been beautifully renovated throughout with four spacious rooms that can comfortably sleep up to eight guests. 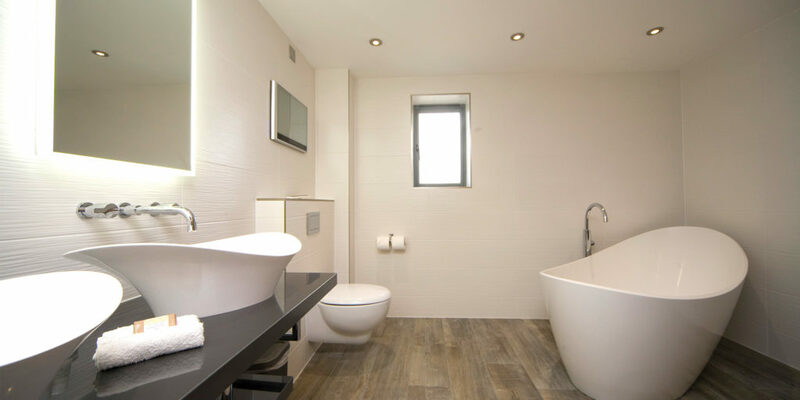 The contemporary design draws on classic Cornish elements, with slate floors that hint at the village’s history as a Delabole slate port. Trevan also has one of the most impressive private gardens to be found in this small village, with a beautiful terrace providing the perfect spot to soak up the summer sun with a glass of something refreshing in hand. 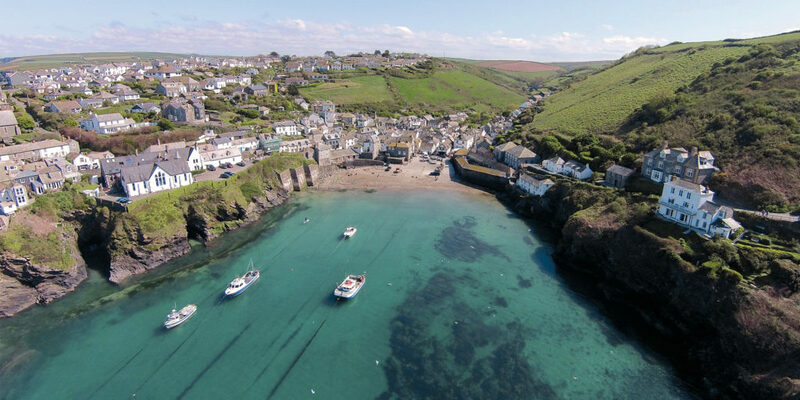 The property is well within walking distance of Port Isaac’s small sandy beach – perfect for rock pooling and beachcombing and minutes from the coastal path, which wraps around to nearby Port Gaverne, or further afield to Port Quin and Polzeath. Trevan provides an idyllic base from which to explore this stunning area. So, if you want to experience a relaxing holiday in the heart of a traditional fishing village then make sure to book your stay now. 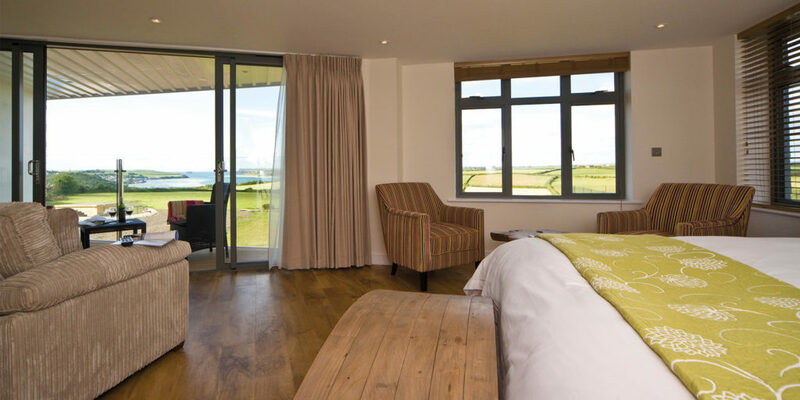 Nestled in seven acres of rolling Cornish countryside in an Area of Outstanding Natural Beauty, the award-winning Pickwick Inn enjoys stunning views over the Camel Estuary, Padstow and Rock and across the Atlantic. All nine of the luxury rooms have panoramic sea views with their own private balcony; the rooms are spacious and stylish, boasting super-king beds, 50-inch smart TVs, Bose sound docks, wet-room style showers and standalone baths. There are even TVs in the bathroom! to be enjoyed as you watch the tide roll in. During the summer months residents can enjoy the heated outdoor swimming pool and tennis court. The adjoining pub serves up famously fabulous food all day, from traditional favourites to locally sourced casual fine dining in Oliver’s sea-view restaurant. The Pickwick is a fabulous base for your next escape. 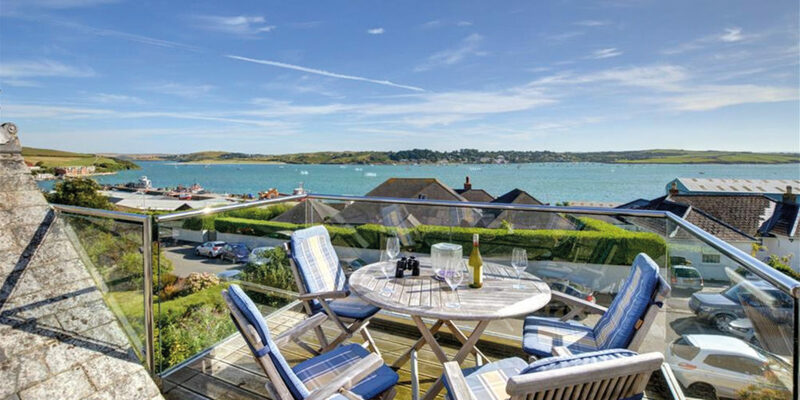 The bustling harbour and foodie mecca of Padstow and picturesque market town of Wadebridge are just minutes away, and the spectacular Seven Bays are right on the doorstep. It’s positioned just two miles off of the Camel Trail too, with a host of activities on hand, from cycling and hiking, to surfing, golf and bird watching. What more could you ask for?